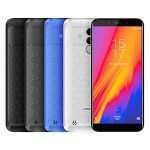 Homtom S7 Specification, Image and Price in Nigeria, Kenya, Ghana, Egypt, Ivory Coast, Tanzania, Cameroon, Uganda, Pakistan, India, Bangladesh. The Homtom S7 comes with a 5.5 inch display and boasts of a 1.5 GHz Quad core processor with Android 7.0, Nougat. It also comes with a 3 GB of RAM, an internal memory of 32 GB. It has a back/ rear camera of 13 MP + 2 MP and a 8 MP front camera with a 2900 mAh Li-Po battery capacity to push all this. Below are Online stores you can buy Homtom S7. The Online stores Jumia, Gearbest and Konga. $100 – $200 Check the Price in your country below by Clicking on Checkout Lowest Price to get the best deal and buy online. The Homtom S7 comes with dual SIM slots and supports the 2G, 3G and 4G LTE Band for its connectivity. It has inbuilt with it Wi-Fi capability and the ability to create Wireless Hotspots. The Homtom S7 comes with a display of 5.5 inches. It uses the IPS LCD display technology. It has a resolution of 1280 by 7200 pixel. The display is quite good quality for phones within this price range. 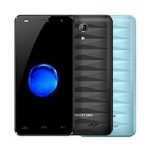 The Homtom S7 boast of a Quad (Four) Core processor clock at 1.5 GHz, the chipset is the MediaTek MT6737T. The GPU is the Mali T720 MP2. 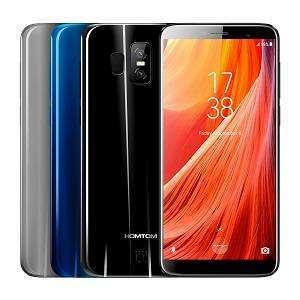 The Homtom S7 also comes with a RAM of 3 GB, an Internal Memory (ROM) of 32 GB. The storage space can be expanded via the micro-SD slot (Maximum allowable Storage for Micro-SD is 64 GB and it uses the Dedicated slot). The Homtom S7 comes with Android 7.0, Nougat out the box. 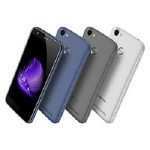 The Homtom S7 makes use a 13 MP + 2 MP back or rear camera with LED flash and an 8 MP front camera with LED flash light. The Homtom S7 has a battery with the capacity of 2900 mAh. The Battery uses the Li-Po technology and it is non removable. This battery could last for a day on an average heavy usage. Today 11th October is exactly one month I got this phone. Homtom S7. 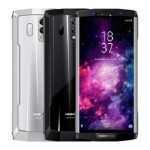 I got it on jumia Nigeria. I have been having issues with it. I can’t connect to hotspot. Other devices do not see it when the hotspot is on. I have tried network reset severally and I have even done factory reset three times. It’s still not working. The second issue is that it’s not working with some app. I couldn’t use it for my taxify app. Use my taxify account on other device and it works but not on my homtom S7 phone. I really need my hotspot to work. Please help. Please download and install FoxFi from the Google play store and use to create hotspot.